JHM B6-B7 S4 CHROME-MOLY FORGED SINGLE-MASS LIGHTWEIGHT FLYWHEELS AVAILABLE NOW!! 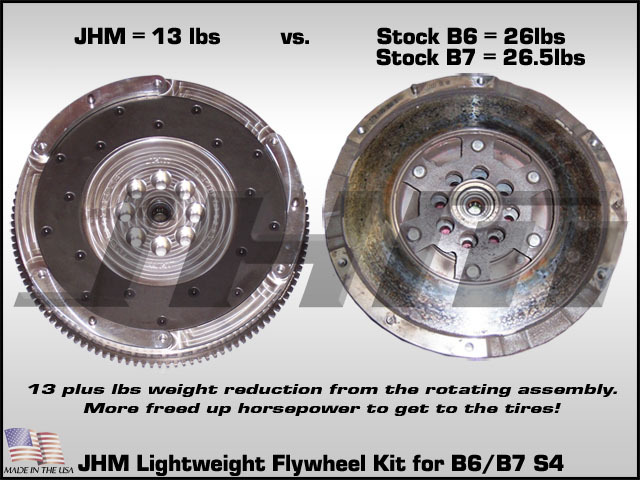 JHM Flywheel is 11lbs Lighter! 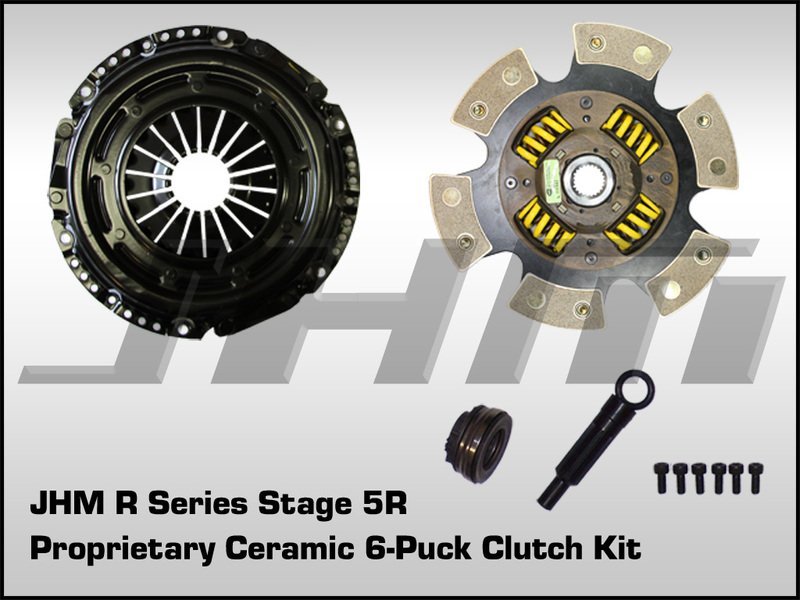 Introducing the JHM R Series Clutch Kit for the B6-B7 S4!!! The diaphragm on our R Series Pressure plate is a custom design that we worked for years to get just right for the B7-RS4 and B6-B7 S4s. We designed it specifically for these cars and their throwout bearings. We did not simply take another pressure plate that works in another brand car and try to make a "band-aid" solution with spacers or other shortcuts to make the pressure plate work for an Audi. - 43% increase in clamp load torque holding capacity over the already stout B7-RS4 Pressure Plate. 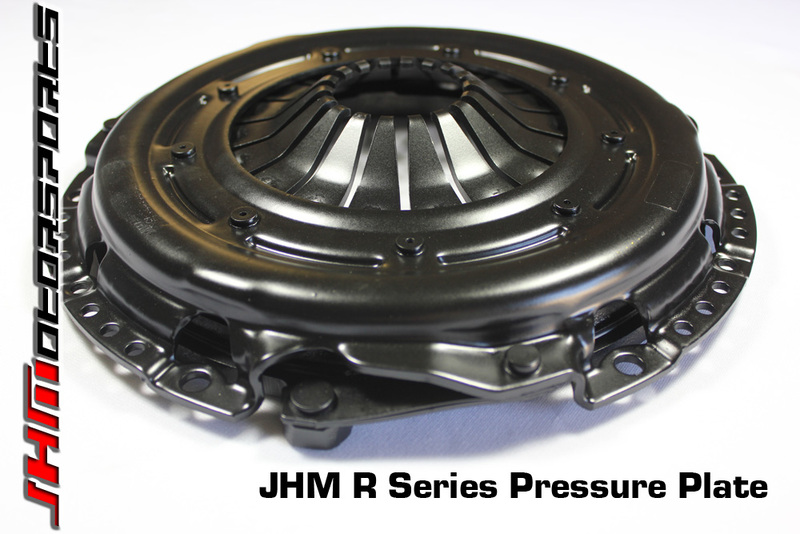 - The JHM R Series Pressure Plate has been designed to work with our JHM Lightweight Flywheel so any S4 customer with our current clutch kit will be able to upgrade to the R Series by just purchasing the clutch disc and pressure plate - not the entire Flywheel and Clutch Combo. Go back one section to purchase the Clutch Kit separately. 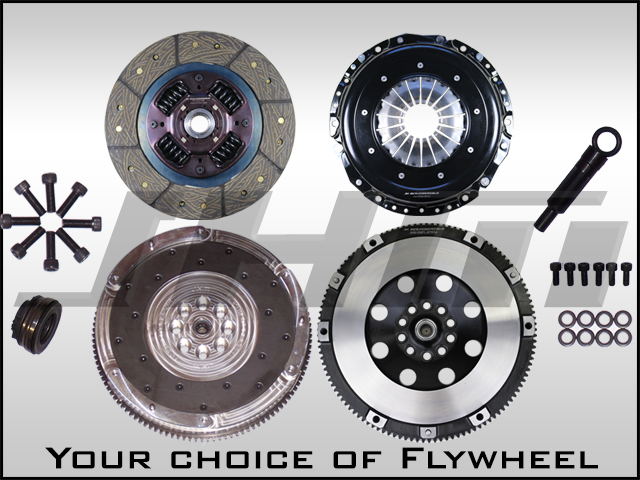 - ALUMINUM FLYWHEEL USA MADE Our aluminum lightweight flywheels weigh less than 1/2 the weight of stock! Compare our extremely light 13lbs versus the heavy weight of 26.5lbs for B7-S4 (or 26lbs for the B6-S4) Dual Mass Flywheel. 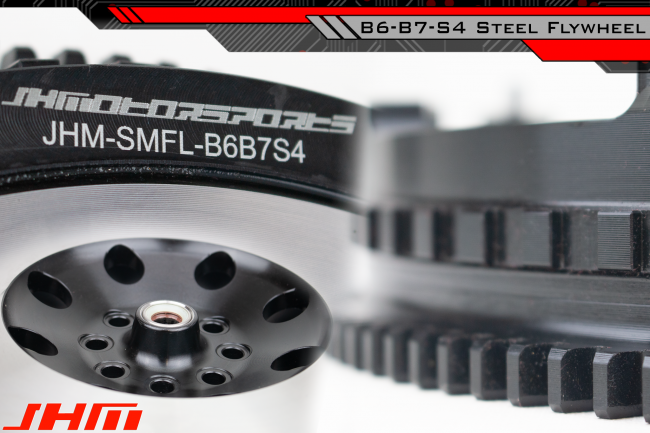 These flywheels are a direct replacement for all B7-RS4s. The iron friction liner is replaceable as well, so you will never have to buy a new flywheel again, you can just swap the liner if you ever replace your clutch disc. The crank position ring is welded to the ring gear in addition to being fastened with countersunk screws (not cheap pins which are prone to shearing like some other brands). For those concerned about the driveability and the infamous "chatter" of a lightweight flywheel that Audi enthusiasts have experienced with smaller 4 cylinder and 6 cylinder turbo engines here is the truth: with the B6-B7 S4 4.2L V8's torquey nature, the driveability is very close to stock and the noise is minimal when it is bogged under 1500 rpm. Some of our customers have reported that they did not notice it at all. 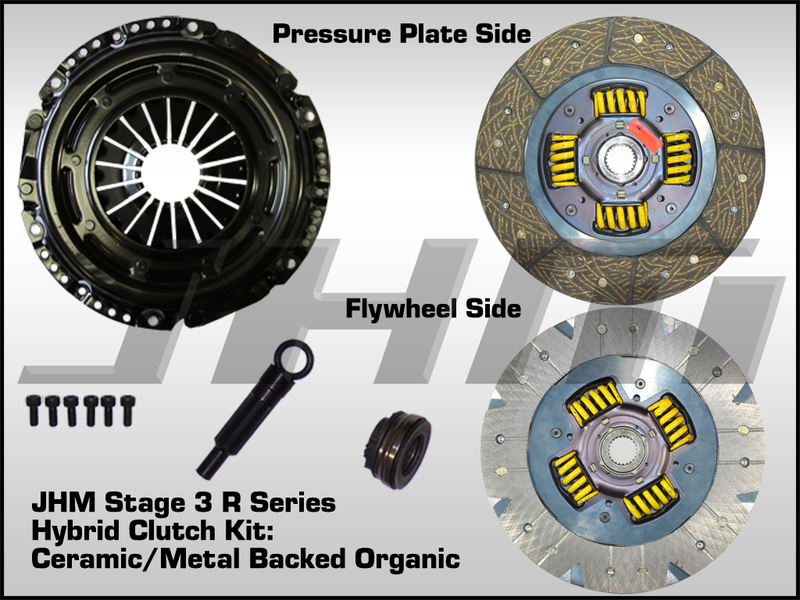 - JHM R Series Clutch Kit (Clutch Disc and Pressure Plate): Our R Series Clutch Kits feature your choice of 3 different clutch disc materials: Stage 1 R is a performance organic disc, Stage 3 R is a hybrid performance organic and ceramic disc, and Stage 5 R is a 6-puck disc featuring our proprietary ceramic material. You can chose your clutch disc material from the drop down menu below. 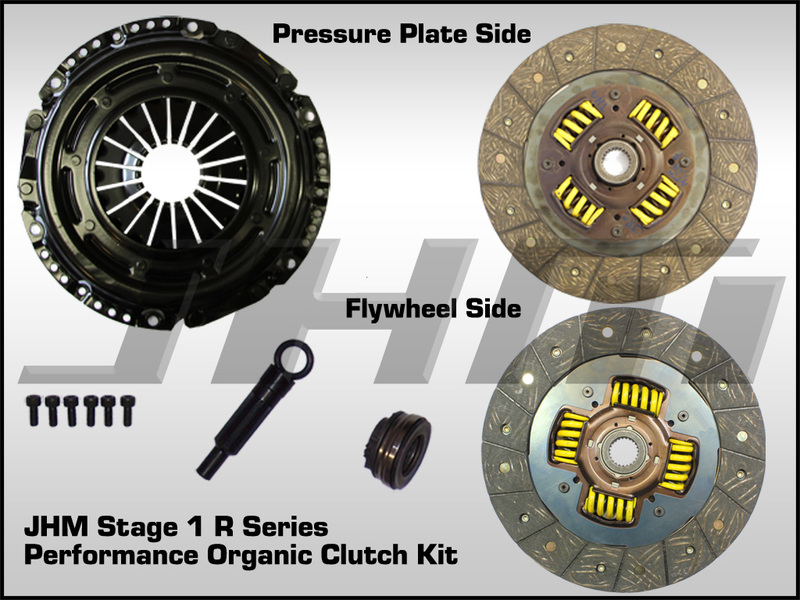 We recommend our Stage 1 R Performance Organic Clutch Disc to those looking to get the best compromise between daily driveability and torque holding capacity. Our Stage 3 R hybrid Performance Organic and Ceramic Disc is a more aggressive clutch disc that will withstand more extended periods of aggressive driving in high-powered vehicles. 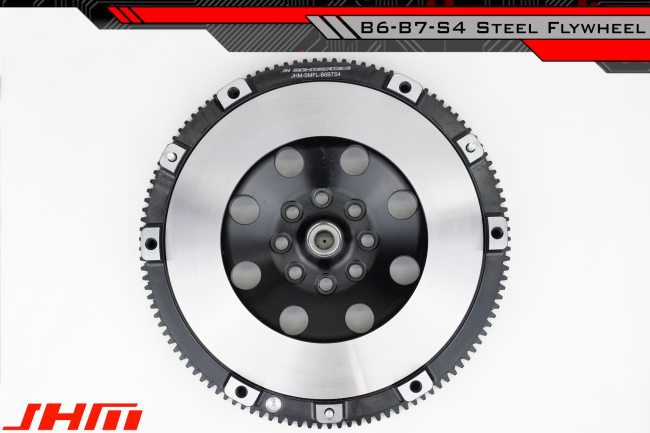 Our Stage 5 R Clutch Disc is the ULTIMATE clutch disc for your B6-B7 S4. 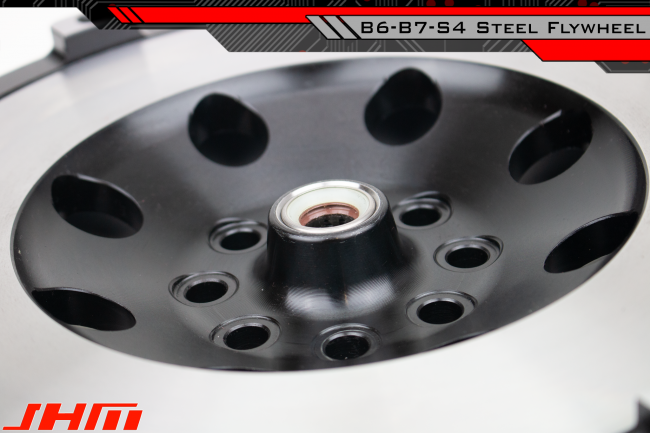 The Stage 5 R is a 6-puck clutch disc featuring our propietary performance ceramic material making it the most aggressive clutch solution that we offer to date. 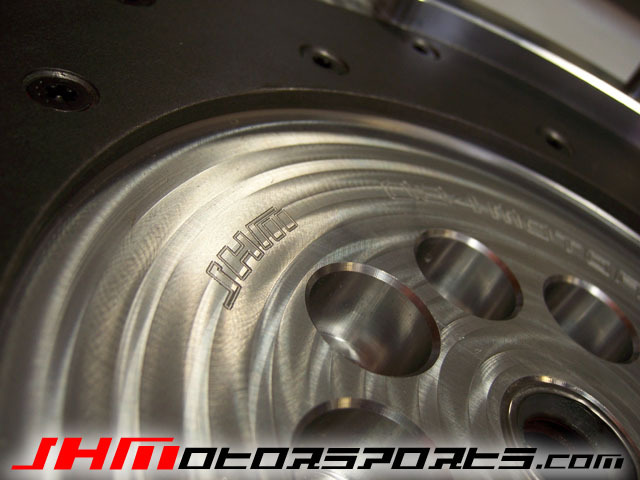 This is clutch disc that we are currently running in our in-house B7-RS4 AND that was featured in our customer's B7-RS4 that set the world record time for the fastest and quickest B7-RS4 (see video above). This clutch disc can REALLY hold some power! NOTE: Clutch break in is important and must be done properly. All R Series Clutch Discs have a break in period of 500 miles. This means that you need to drive as much city type driving as you can for the first 500 miles after the disc is installed. Each time you start from a stop or shift, it aids in break in of the clutch material. Highway mileage does not count. You MUST avoid any racing activities, launching, or aggressive driving that gets the clutch hot during this period.